You can enter some promotional text in the description, which will be shown to people clicking on the 'bundle discount' link. 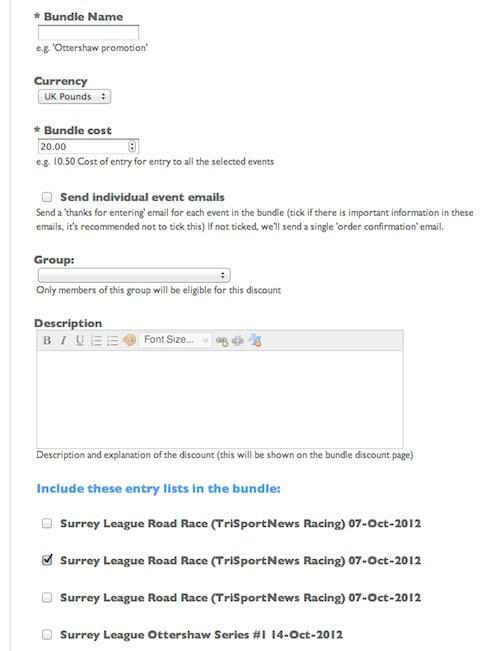 You can also restrict the discount to members of a particular group (league or club). 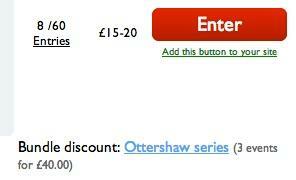 The discount is active immediately - entrants can click on the link and add all three events to their basket in one go. Once paid they will automatically be entered in each event, and you will be able to keep track of who used a bulk discount via your payments reports.